Spectacular, unique, design-oriented. Designer kitchens should have attitude. A designer kitchen confidently draws all eyes to itself with strong colours, bold material combinations and a high degree of functionality. 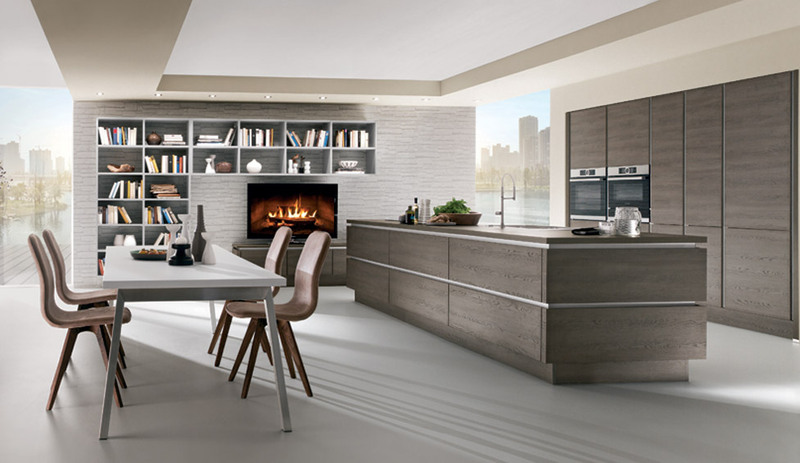 The designer kitchen from nobilia also impresses with an innovative architecture that stages rooms in a new modern way. It emphasises its passion for the exceptional and the extravagant. 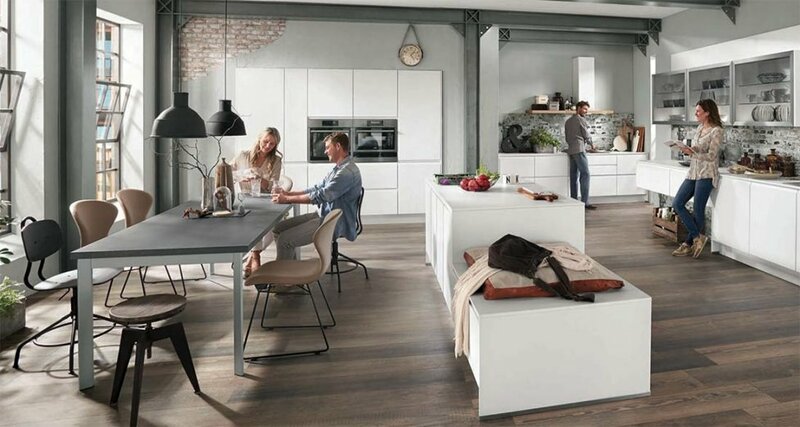 As you might expect with anything coming from the UK’s favoured German brand, there is much choice when deciding which Nobilia Designer German Kitchen is right for you. White continues to count among the most popular furnishing colours, because White is timelessly beautiful and it just feels good. White is unobtrusive, it makes rooms look and feel larger, and it outlasts the whims of fashionable trends. In addition, White is incredibly versatile and changeable. White can hold its own against coloured accents and vibrant contrasts as well as with cool metals and natural wood tones, making it the perfect choice for both small and large dream interiors. Industrial look. The White Concrete reproduction décor in this design brings a subtle, warm colouring to the minimalistic, cool concrete look. It harmonises splendidly with the Dry stone wall décor niche cladding and the subdued wood flooring. A perfect combination for admirers of the inviting industrial style. Concrete trends. Concrete has established itself not only in architecture but also interior design. The fronts with an authentic-looking concrete appearance are an interesting and easy care material alternative for the kitchen and living area and convey a modern urban feel. Whether a puristic design with exclusively concrete finishes – as in this example – or combined with warm wood, either way, this model achieves a trend-oriented kitchen ambience. Astonishingly authentic-looking wood décors, such as this Ontario oak reproduction seen here, create kitchen style and looks with exceptional flair – especially when combined with beautifully coordinated solid colours and glass accents. 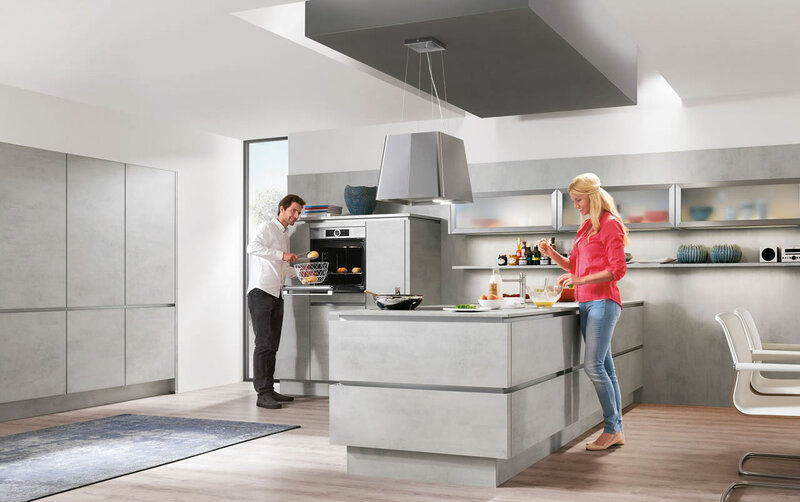 The design uses the handleless LINE N kitchen format with profiles and glass accents in stainless steel appearance underscores the modern character of this kitchen for a truly handle-less designer German kitchen. Metallic glamour. Glamorous metal finishes are very much on trend. 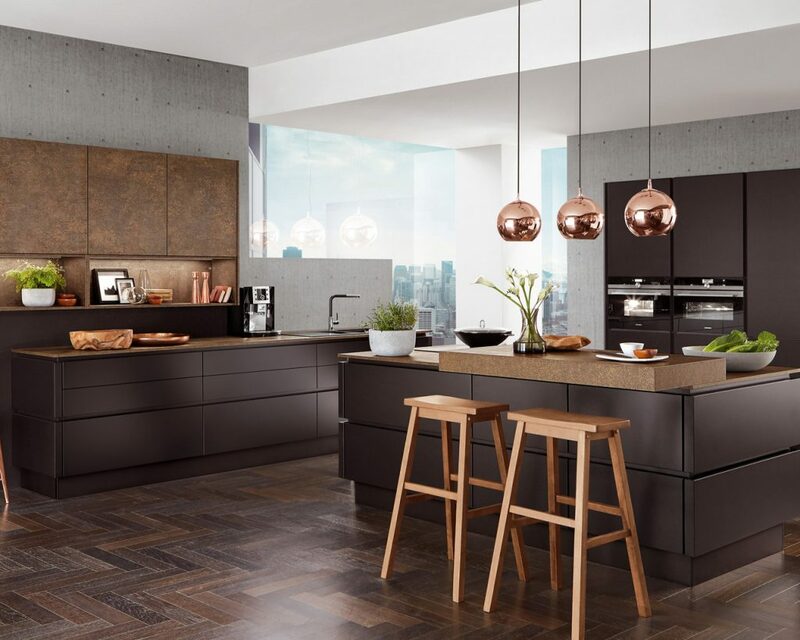 Ferro bronze takes its inspiration from the latest trend toward copper, bronze and rose gold, which has its origins in fashion, and now lends a touch of luxury to home interiors. The combination of Ferro bronze décor and refined, softmatt, black finishes gives the room a stylish presence and captivates with its luxurious appearance. Open and spacious where the living space combines kitchen and open plan living room. Kitchen and living area share a perfect symbiosis in this suggestion. The customisable open shelf upright system enables a multiplicity of combinations and lends this deliberately puristic kitchen design a homely flavour. Moreover, it provides plenty of additional space for accommodating beautiful accessories, books…etc. Clear shapes. For years we have been raising the bar on stylish and trend-oriented kitchen design with our handleless LINE N range. In conjunction with fronts in popular solid colours or wood décors, or matt or high gloss – the fine lines of this front design always express quintessential modernity and sleek elegance. Brilliant presentation. The combination of ultra high gloss lacquer fronts and surround design in untreated wood décor is a genuine dream team. The black drying cracks in the Sanremo oak reproduction create a visual connection to the Black lacquer fronts in the model Focus. The handleless design is predominantly defined by the reduced focus on the lines. The integrated recessed handles are more than just practical door openers thereby: They take the lead as the horizontal stylistic element that sets the tone for the new kitchen and impress not only in design-oriented kitchens. Industrial chic. The design – with its rough brick, combination of matt lacquer fronts with a table top in slate grey concrete appearance and the real wood floor – perfectly captures an urban vibe. And you don’t even need to move into a warehouse to experience industrial chic. Our niche claddings with digitally printed motifs even lend an industrial touch to small rooms. Subtle ambience. Light, organic and warm tones are in sync with current trends in interior design. Even in urban surroundings, they bring a certain natural flair to any flat, and create a relaxed atmosphere in rooms. Such as our shade of Satin grey in a refined, high gloss lacquer version. The combination with Maracaibo light décor on worktops and niches creates discreet accents from the same colour family. The lighted bar handles in Satin grey are a discreet highlight that also ensure a pleasant ambience. 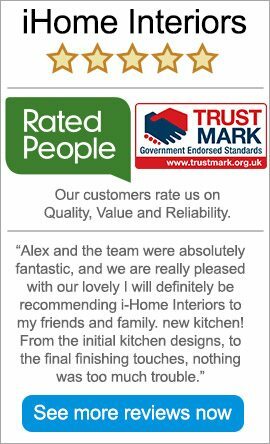 At iHome Interiors we tailor our designs around our customers specific preferences and needs to design and fit the perfect bespoke solution for each customer. 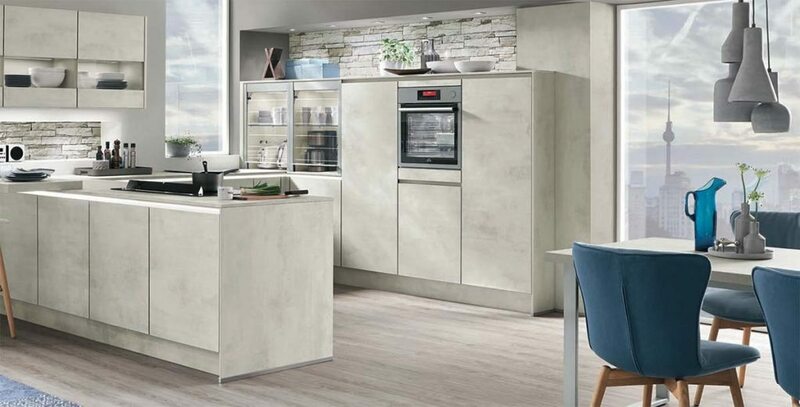 If you are interested in Nobilia for your new Designer German kitchen, or any other of the kitchens we design, supply and install, we operate across Buckinghamshire, London, Berkshire, Surrey, Oxfordshire, Hampshire and Hertfordshire and offer a FREE HOME DESIGN SERVICE.